Many of us who love books love everything about them, including that wonderful scent that accompanies a brand new novel. There seems to be nothing quite like it! But what is that smell, exactly? 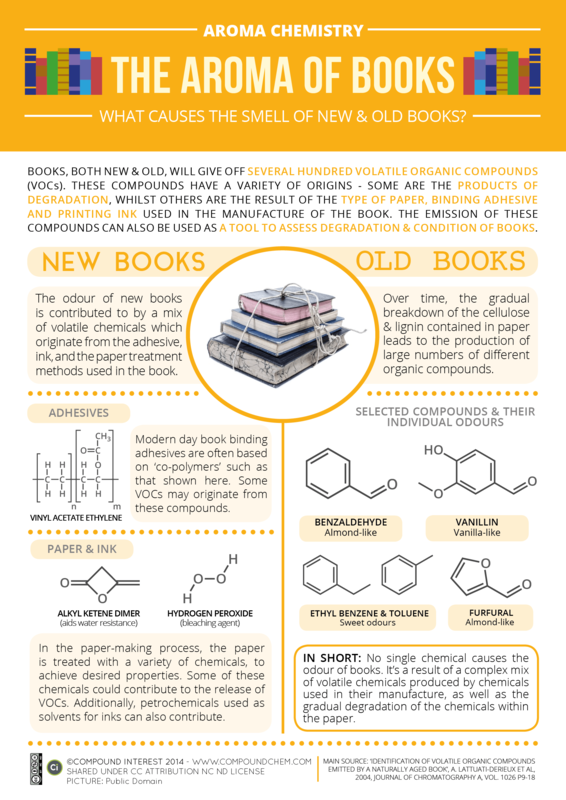 Over at Compound Interest, they have created a fantastic visualization explaining what is responsible for the smell of new books, as well as why old books smell the way that they do. You can read the full post here, and download a copy of their infographic here. Just goes to show that the science of books isn't limited to the realm of psychological science. Of course, the interdisciplinary question is what thoughts and emotions the smell of new books elicits in readers, what sorts of readers experience these effects, and why they occur.